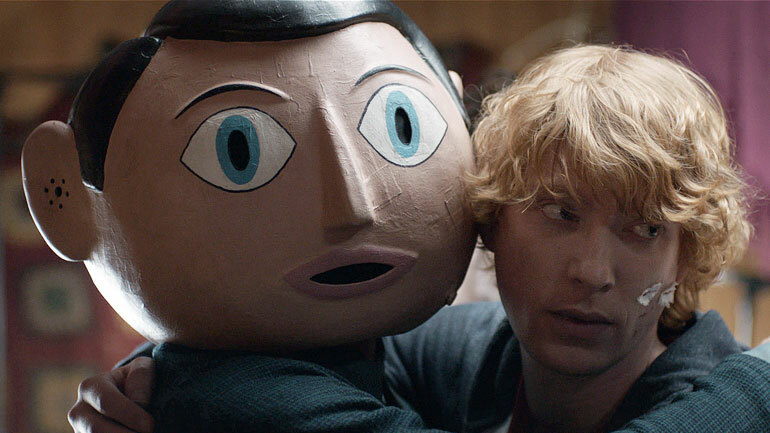 This week Frank by director Lenny Abrahamson surprised me in its sincere depiction of troubled band Soronprfbs and their enigmatic front man, played by Michael Fassbender. Co-written by Jon Ronson and adapted from his own book about his experiences as the keyboard player for Frank Sidebottom’s band in the 1980s, Frank sees Jon (Domhall Gleeson) spontaneously enlisted to join Soronprfbs, and live with them in Ireland for almost a year in the attempt to record a new album. Enamoured by Frank’s curiosity and seemingly limitless ability to find music in everyday objects and activities (not to mention the giant fake head he never takes off) but treated with suspicion by Theremin player Clara (Maggie Gyllenhaal), Jon begins documenting the creative process via social media, blogging, tweeting and sharing videos until viewers and followers exceed 20,000 and the band are offered a gig a SXSW. The above is a fairly standard narrative for a film about a band – we see the band through the eyes of a new member, they rehearse and prepare for their first big gig. Except in the case of Frank, the real narrative is that of the an outsider – Jon – failing to perceive that not chasing fame is the default mode for a band who are outsiders themselves and care more about the mental wellbeing of their members than the glory of increased Twitter followers. So what starts as an inherently comedic approach to getting to know Frank and his idiosyncratic songs, becomes a very moving look at mental illness, as Jon realises he’s completely out of his depth once he alienates the rest of the band and effectively becomes Frank’s sole carer. The transitions from comedy to tragedy are deftly handled by Abrahamson, who never allows Frank to be the subject of ridicule – rather its Jon who, by failing time and again to ‘get it’ – is the fool, deliriously, obliviously guiding Frank down the path to ultimate humiliation. Fassbender is typically excellent, conveying Frank’s seductive mystery from under his giant fake head, whilst Gyllenhaal, though given some of the best comic moments, is somewhat limited by her underwritten role. 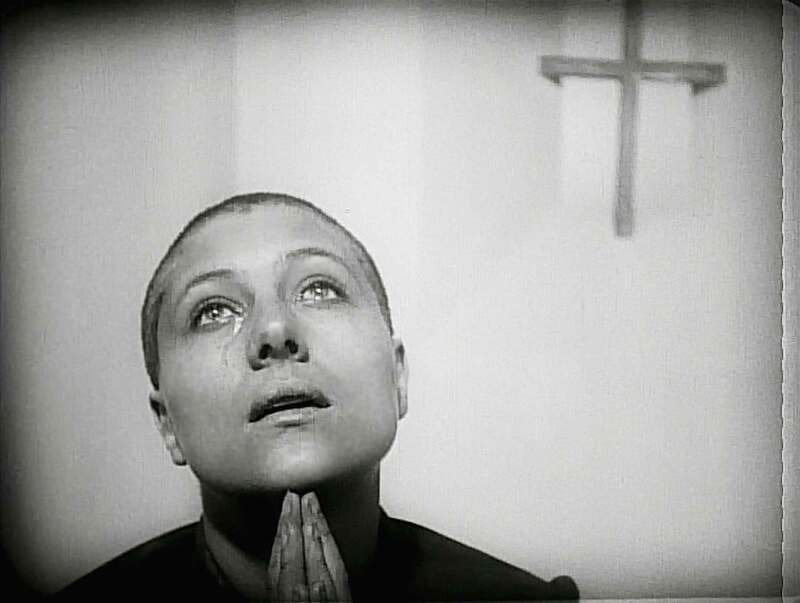 Also this week I finally made the time to watch the ninth Greatest Film of All Time (according to Sight & Sound’s once a decade poll in 2012), Carl Theodor Dreyer’s 1928, The Passion of Joan of Arc. Consisting almost exclusively of close-up shots, Dreyer’s masterpiece is miraculously affecting, conveying Joan of Arc’s torment during her trial in the lead up to her execution. I viewed the film from Eureka’s Masters of Cinema release (2012) at 20fps, silent, as Dreyer reportedly preferred the film to be viewed. This DVD release also includes the film at 24fps and with two optional scores, as well as a 100 page book with writing on the film by the likes of André Bazin and Chris Marker. Watching the film without a score was an unusual experience, allowing me to imagine sounds; the murmur of Jeanne’s jury, the uproar of the crowd, Jeanne’s exhausted sighs. 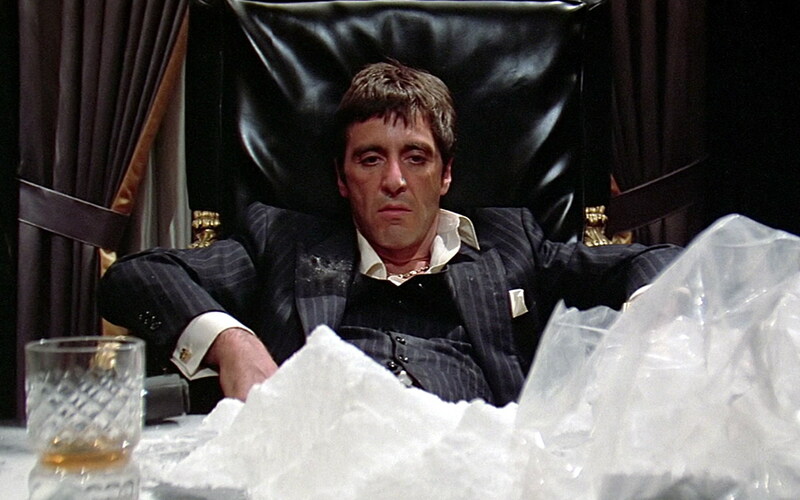 I’m certain it’s a film I’ll return to again and again. Also viewed: Now You See Me (Louis Letterier, 2013) was entertaining to a point – that being the moment the filmmakers appeared to have no clue how to end the film.